Organization of local unions desired by road hauliers. 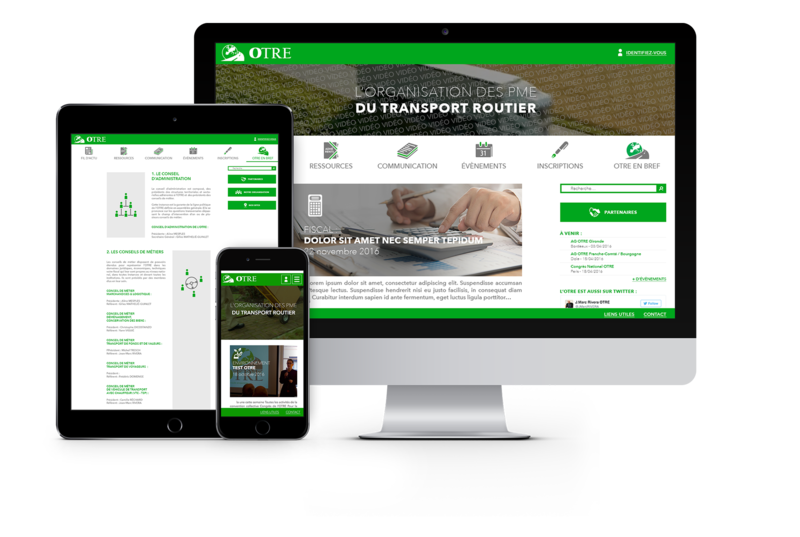 The OTRE is a professional organization working with the public authorities on all the fields of the national collective agreement for road transport and ancillary transport activities. Present throughout France, OTRE wanted to have a website to communicate with the general public but also its members. The Smart Interactive team accompanied the OTRE communication agency (Tribe Factory) on the implementation of the responsive website.